Weird bottle, but gorgeous product! I am loving this product...it smooths my flyaway hair without stickiness and smells gorgeous! My only complaint is the bottle has a dropper more appropriate for a liquid...this product is more viscous (somewhere between a conditioner and a cream) so dropper leaks a bit and it gets a little messy, but no big deal once you are used to it. Would recommend. Keeps my flyaway at bay even in humid weather! Well I've been using it for two months and my hair has less split ends but has not completely gone! Good smell! I hope it work latter. WOW, alittle goes a long way with this product....Its going to take me awhile to finish. All the listed ingredients make me think that my hair is really going to benefit from this product. A like products that have as many natural ingredients as possible. I have long hair and have been using the other products in the range. I have got the odd split end and hope this will rectify the problem ( i like getting snippy witht he scissors). It is quite a thick liquid and a little is needed (two drops). Just liek the other products in the range, this product has a nice fragrant smell. Can't tell you yet if my ends have improved, I have only been using it a little while. Plus the produc goes on wet or towel dried hair and I easily forget. My hair is very very weak and with no life. 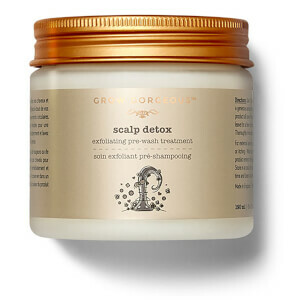 I've really found my holy grail product: my hair loss has been stopped and my volume lasts even after 2-3 days. Absolutely recommended. Great product makes my hair feel soft but haven't been using it long enough to say if it helps to prevent split ends, so far so good! !